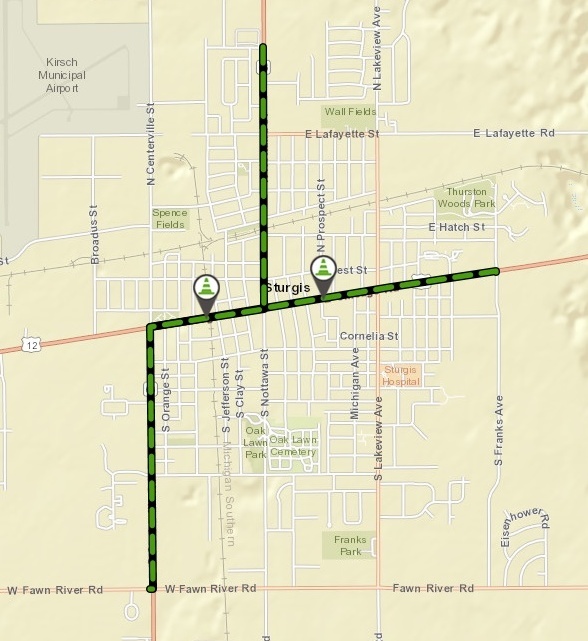 (STURGIS) – Work on a downtown Sturgis railroad crossing will start on Monday. Michigan Department Of Transportation crews will be reconstructing U.S. 12 and the Michigan Southern Railroad crossing just west of Jefferson Street. The project, with a price tag of $587,000, includes concrete driveway, curb and gutter, sidewalk ramp upgrades, lighting and pavement markings. MDOT says once the project is done it will improve safety and result in a smoother ride for motorists. While the project is going on, traffic on U.S. 12 will be detoured on to South Centreville Road, East Fawn River Road and South Franks Avenue. The M-66 traffic will be detoured on Memorial Drive, North Clay Street, West Lafayette Street and North Centreville Road. The project is expected to be finished by Friday, June 21.